The Australian National Maritime Museum is celebrating everything nautical this April with the Classic and Wooden Boat Festival. Enjoy an elegant weekend on the water with one of the stars of Baz Luhrmann’s The Great Gatsby. Come dressed in your Sunday best, grab a glass of bootleg Champagne, practise your Charlston steps and imagine living it up like Leo aboard the Hurrica V, the 1924 luxury ketch featured in the film. Another member of Australia’s sailing history featured across the weekend is the SY Ena of Miss Fisher’s Murder Mysteries fame. There will be an additional 100 boats from across Australia, including Halvorsen cruisers, yachts and steam launches, docking in the bay for the weekend long festival. 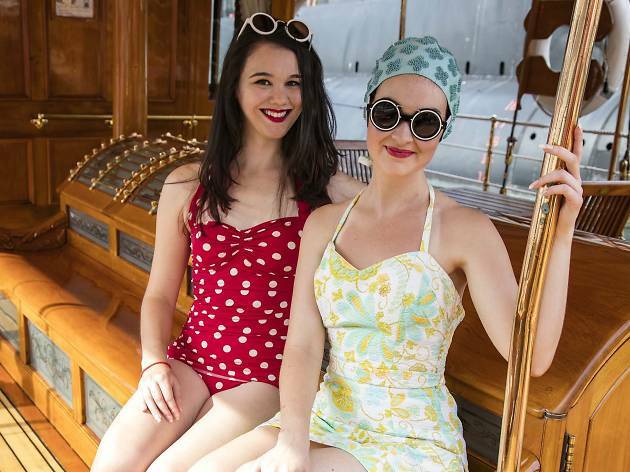 Visitors can sail across the bay onboard a vessel from the Sydney Heritage Fleet, (including the famed James Craig) while landlubbers can peruse the marketplace which is appropriately maritime themed and enjoy the artwork on offer, or take seat for the swimwear parade which features swimming costumes both past and present from the museum’s collection. You can also see how it was done it the good old days with demonstrations of traditional maritime skills from sculling to caulking and even line throwing. If you’d like to try your hand at some nautical construction then enter the ‘Quick and Dirty’ boat building competition, where you race to build and sail your own boat on the harbour. Just remember, the water is supposed to stay on the outside of the boat.